Should I? What God has to say about the decision making process. We made lots of decisions every day. Should I eat pizza for lunch? Should I buy that new gadget? Many of the decisions are small, but other decisions can have a huge impact on our lives. Should I marry this person? Should I buy this house? 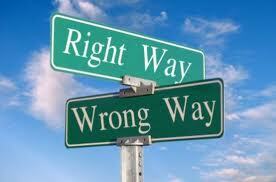 1) What biblical principals should inform my decision? a) What does the Bible say about that? b) Who can help me better understand God’s word? c) Make sure you’re not the only one who holds this opinion of what God’s word says. 2) Do I have all the facts? a) Ask a lot of questions. b) Don’t let your emotions get the best of you. 3) Is the pressure of time forcing me to make a premature decision? a) Don’t let the fear of missing out drive you. b) When in doubt, leave it out. c) Have you made sure you have all the information? 4) What are the possible motives driving my decision? a) Acknowledge that you have blind spots. b) Honestly assess your motives both good and bad. 5) How should past experiences inform my decision? a) Look for patterns of behavior. Triggers. b) Understand how your family background informs your thinking. 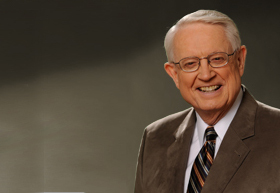 Chuck Swindoll blessed us this morning with life lessons learned from ministry. Great wisdom. The notes below are rough, but I did my best to capture as much as I could. Some of you have no idea how God is using you or will use you. Years from now, you will be so glad you were faithful. I would any day trade my youth for wisdom and truth. 1. I should tell people how I feel about them now, not wait until later. It will help them. 3. I’ve seldom felt sorry for things I didn’t say, but often for what I have. Watch your lips. 4. Being real is a lot better than trying to look spiritual. Be who you are. Accept how God has made you and become real. People know you better than you think. 6. It doesn’t pay to talk anyone into or out of a big decision. Don’t think you can talk God’s will into anyone. God is at work in their lives and that struggle is part of God’s work. 8. You can get a job anywhere, but why would I want a job when I have the chance to fulfill a lifelong calling. 9. When you fit, things flow. Don’t force it. If you don’t fit. Get out. 10. Be intentionally and passionately crazy about your spouse. 11. It’s hardest at home. Church is simple compared to home. I could run three churches easier. 12. Days of maintenance far outnumber days of magnificence. That’s life in ministry. Very little in ministry is “fantastic”. Still worth it. 13. Some people are not going to change no matter what. Some people choose to walk away from the truth. You can’t change them. You want to. But leave it to God. 14. If you have a day off, take it. What good are you when you’ve blown it or burned out? 15. Perception overshadows reality. Your reputation may hang on someone’s misconception. Truth will win out. You will never win them all, so quit trying. Gal 1:10. 16. Often it’s the hard thing that’s the right thing. Take risks. 17. Stop saying “never” and “always”. 18. Some things aren’t really worth the sweat. Lighten up. 19. You can’t beat kindness. “Young man, I don’t know you and you don’t know me, but whatever it is that is wrong, I care. And I’ll stay here with you as long as you want to”. It’s always appropriate to stay kind. Even when administering discipline. Do it with a heavy heart. Be kind. 20. You can’t beat fun. Learn to start living. 21. You’ll make lots of mistakes. It’s ok.
22. Walk with Jesus. It’s worth it.